Level 5, 276 Pitt St, Sydney NSW 2000, Australia. Copyright in the materials forming this website belongs to QuiltNSW, unless otherwise stated. This includes text and images. All rights are reserved. All credit card payments made via this website are processed by a secure ANZ eGate payment facility. QuiltNSW does not collect nor store any credit card information in conjunction with this payment facility. QuiltNSW respects your privacy. Any addresses, email addresses and other personal details supplied by means of this website will be used for the purposes for which you supply them or as stated on the relevant section of this website. In some cases they may also be used for statistical analysis. This website uses Google Analytics to help analyse how users use the site. This analytical tool uses ‘cookies’, which are text files placed on your computer, to collect standard internet log information and visitor behaviour information in an anonymous form. The information generated by the cookie about your use of the website (including your IP address) is transmitted to Google. This information is then used to evaluate visitor’s use of the website and to compile statistical reports on website activity for QuiltNSW. QuiltNSW will not (and will not allow any third party) to use the statistical analytics tool to track or to collect any personally identifiable information of visitors to our site. We will not associate any data gathered from this site with any personally identifying information from any source as part of our use of the Google statistical analytics tool. This website is provided as a service to members and no warranty is made for the accuracy of the information provided. Although every effort is made to include factual and timely information, please note, the site is maintained by volunteers and it is inevitable that there may be clerical errors or honest mistakes from time to time. This is why it is important for members to advise the QuiltNSW Webmaster if they notice any errors. Links from this site to any other website are provided for convenience only, and do not imply affiliation with or endorsement by QuiltNSW. 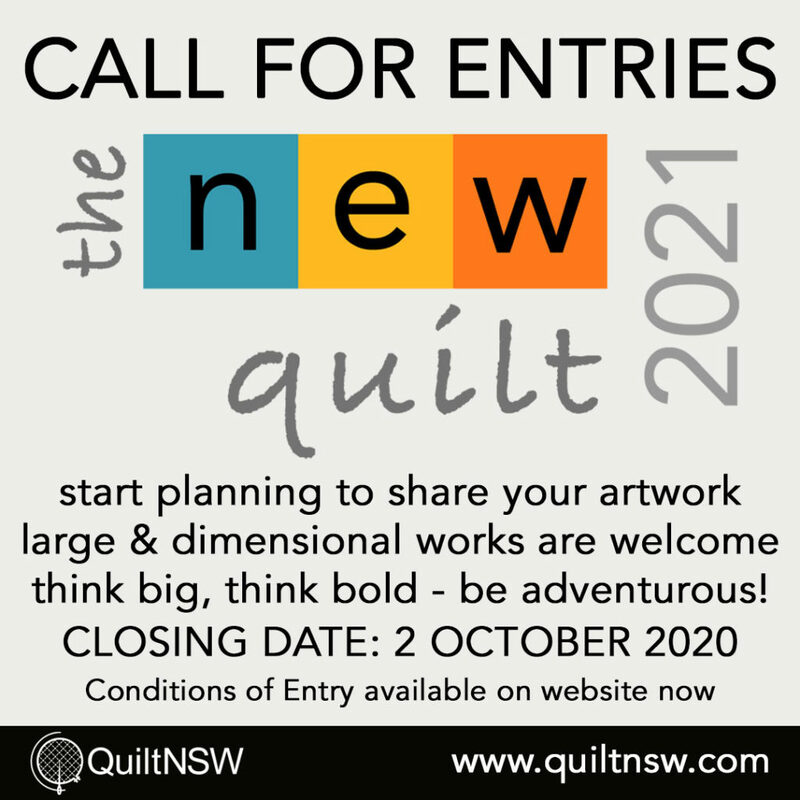 QuiltNSW is not responsible for the content of external web sites that link to this site or which are linked from this site.